Making a cycling trip around the countryside to admire the tranquil scenes and traditional handicraft villages is an interesting way to discover the other charming of Hue ancient capital. Traveler can enjoy the fresh air of the beautiful sightseeing of different villages surrounding Hue when passing through green rice fields, verdant vegetable gardens, colorful flower gardens, visit old houses, ancient temples and join in many exciting activities in Thanh Tien paper flower-making village and Sinh folk painting village to learn more about the tradition and cultural of this peaceful land. Have lunch with friendly hostess to enjoy Hue cuisine as well as have a depth feeling of local life. 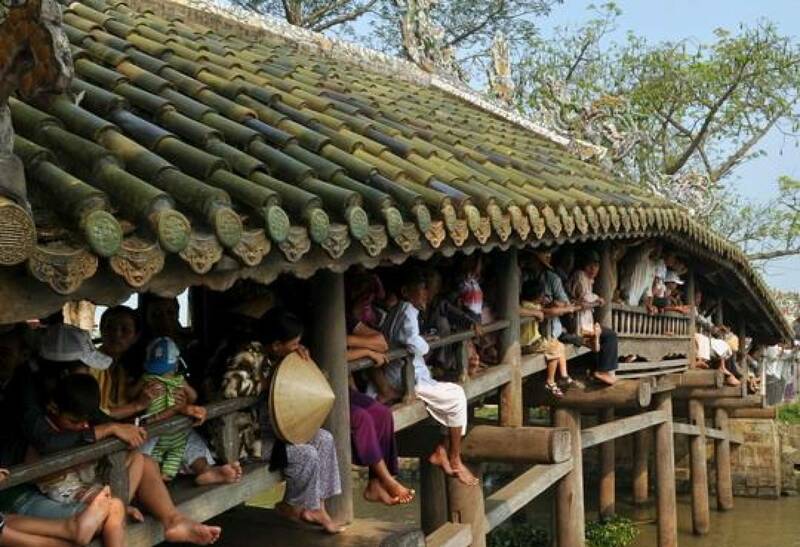 Especially, visit Duong No village to explore the place where President Ho Chi Minh lived in his childhood and experience the simple life of a great leader of Vietnam. 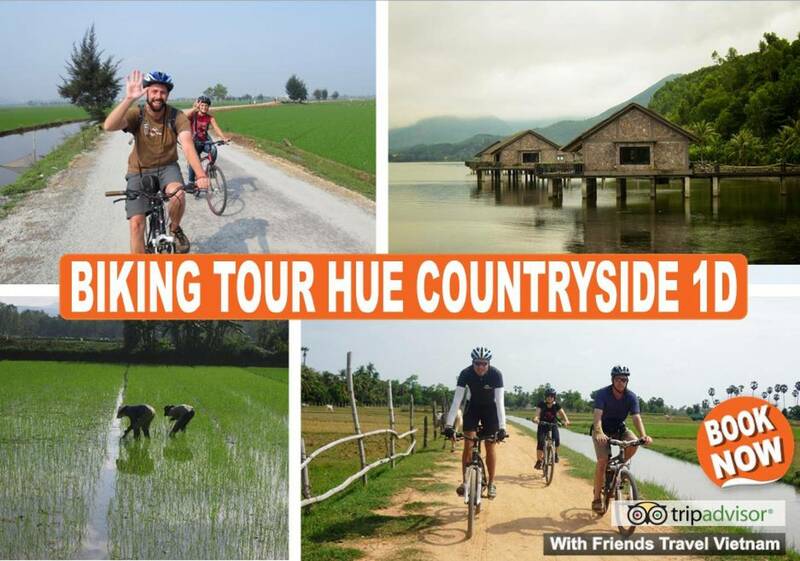 Let cycle to discover the simple but unique life of Hue People!ake time to enjoy all the beauties in Hue – a World Heritage city! 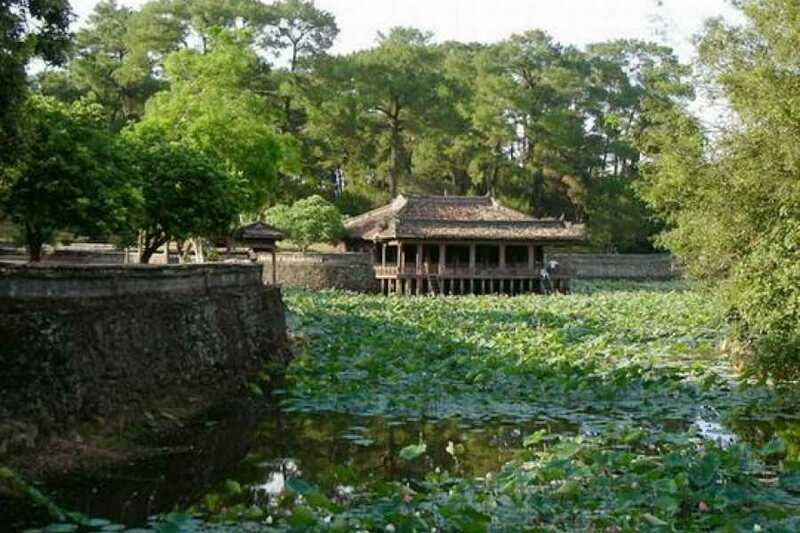 Hue is not only famous for its quiet but also the Complex of Monuments of Hue has been recognized as a World Cultural Heritage. 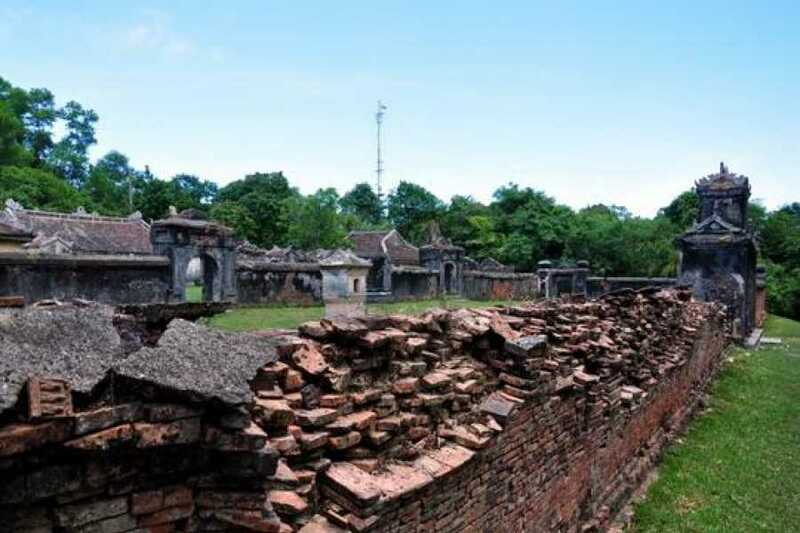 The most special of Hue city tour is the variety of pagodas of Buddhism overall city. You can see many pagodas on streets and roads you pass though. Having a wonderful feeling when you take a boat trip on romantic Perfume River with exploring the Complex of Monuments including many constructions of Nguyen Emperors in the past with palaces, mausoleums will be amazing experiences once coming to Hue Old Capital City. 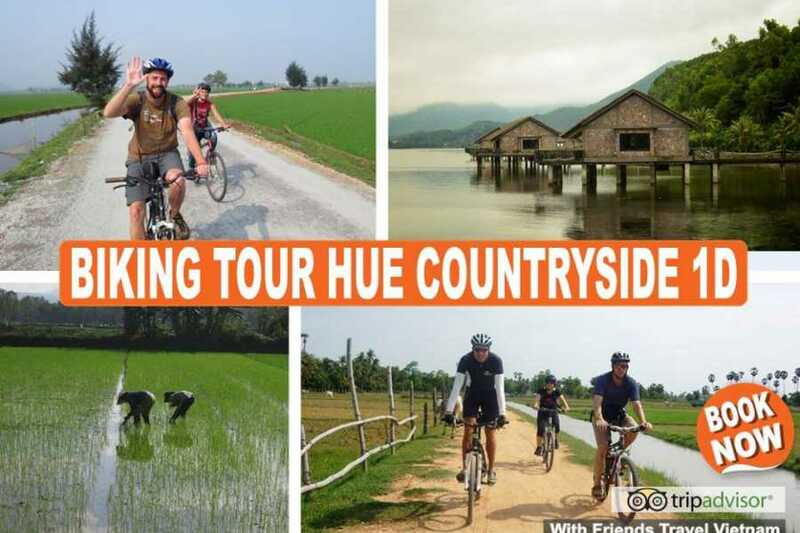 Are you ready for the "Hue History & Culture Cycling Tour 1D"! We'll meet up at the pier and take the boat down the Perfume River, and see temples, old fisher boats and much more. After arrival, our cycling trip starts with a visit Sinh village, famous for their painting skills. We continue our trip with visiting the Tien Non-flower-planting. This is the largest flower garden in Hue, with a big variety of flowers. Furthermore, we'll visit an ancient temple, local villages in the area, rice fields, vegetable gardens and the simple cottage house of Ho Chi Minh, where he lived a simple life. Am: At 8:00 am our guide and driver welcome you at a hotel and start a day trip to explore Hue City. This morning, you will start your tour by going shopping at Dong Ba Market, you can also discover the interesting local life here while looking for a souvenir for friends and family. 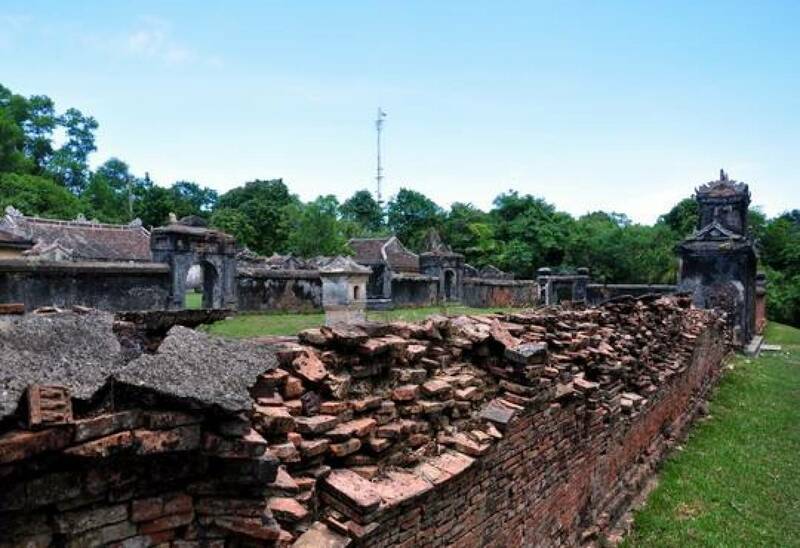 Visit the famous Imperial City (Citadel), the Royal Palace of Nguyen Dynasty. Explore the glory history and stunning architecture inside this complex. Then you will make a dragon boat trip on the Perfume River and enjoy the fresh atmosphere of Hue. 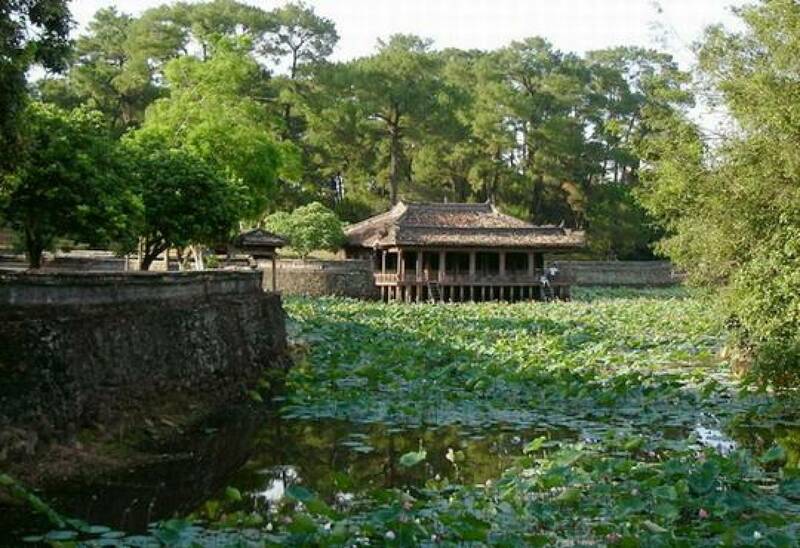 Stop to visit Thien Mu Pagoda to discover Buddhism in Hue. 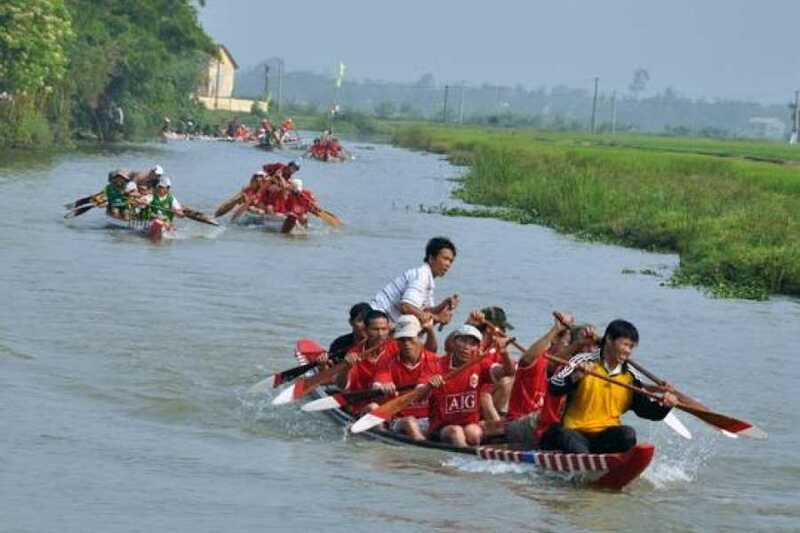 Then continue your boat trip to the upper of Perfume River and reach Thuy Bieu Village. 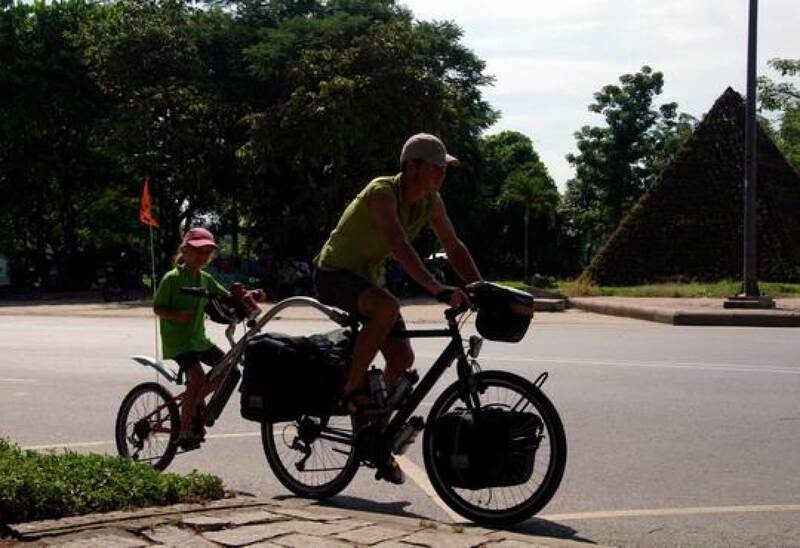 Get you bike and cycle to a local house for lunch. 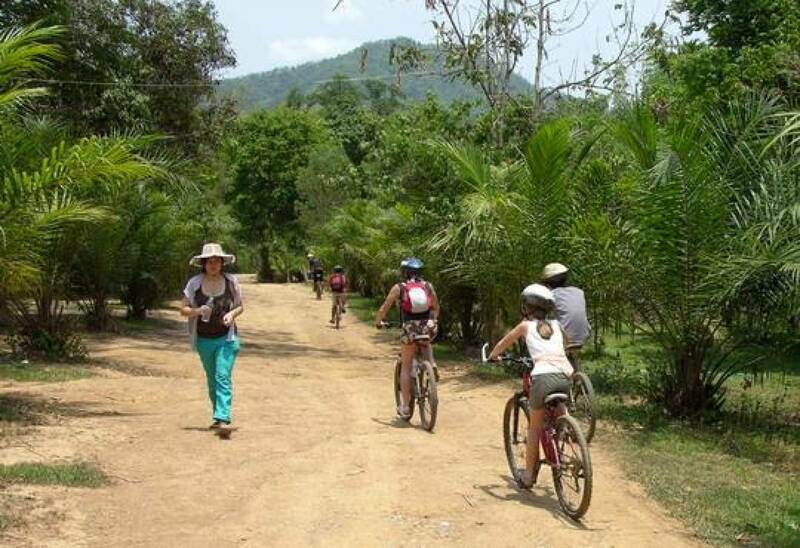 Pm: In the afternoon, cycle around Thuy Bieu to discover the local life here. This village is famous for its mild sweet Thanh Tra, a special kind of pomelo which boasts refined fragrance and green skin. Coming here, you will feel relaxing in a peaceful atmosphere. 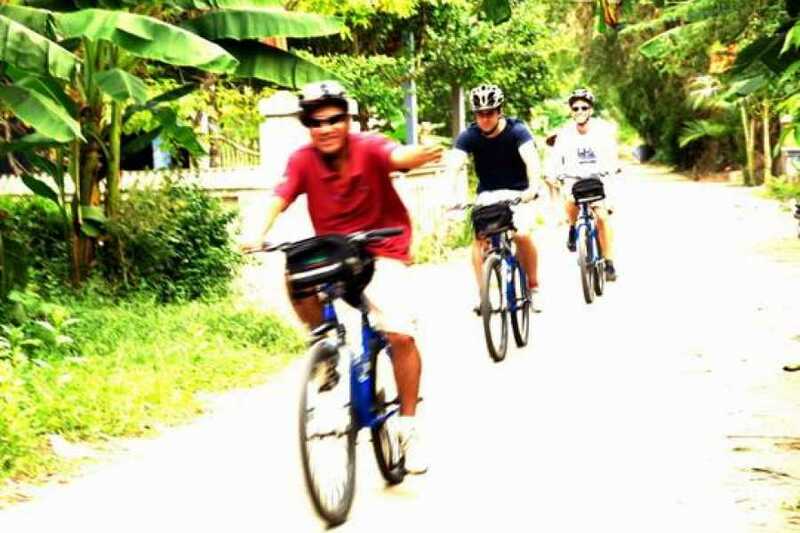 While biking, you can take the short stop in communal houses, ancient temples, local market and walk along the shady, peaceful paths to enjoy the green, peaceful sights of the village’s gardens. Especially, you will have the chance to see a traditional incense making house where you can get to know how incense sticks are made for using. Then visit a workshop where traditional silk painting & votive articles are made for more experience. 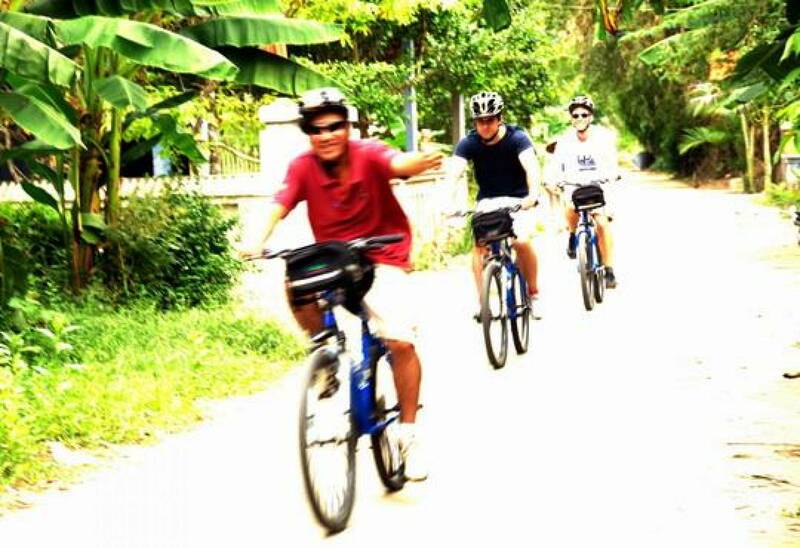 Then you will be transferred back to Hue city center and end tour at your hotel. 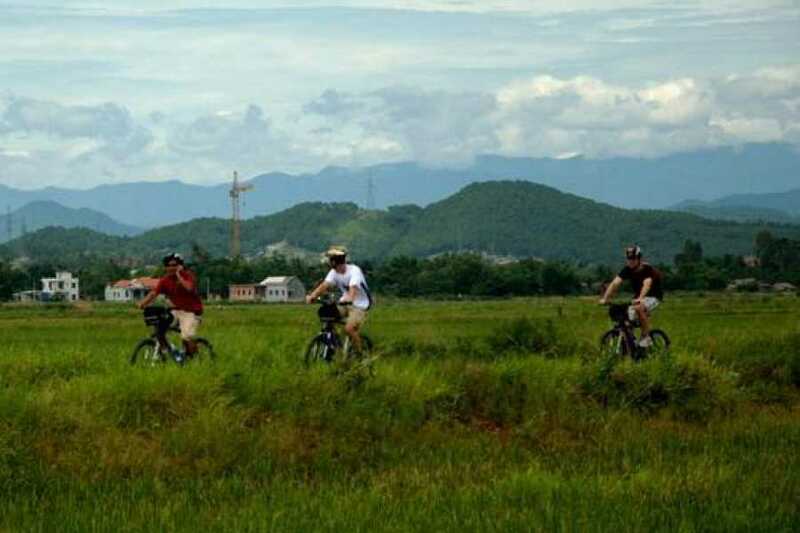 Biking Tour Hue Countryside starts from Hue, we can arrange transport for you by bus or train departure daily from Hanoi!